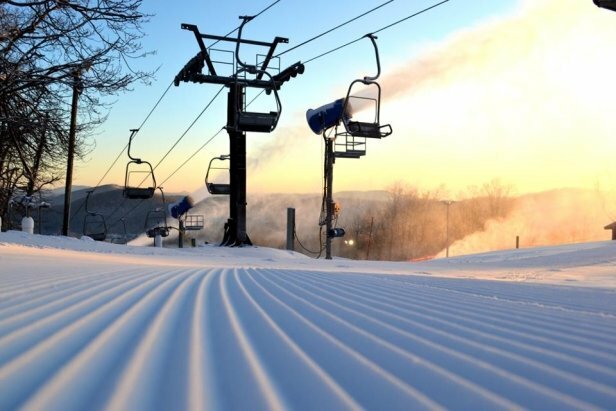 Appalachian Ski Mountain is for families run by a ski family. It's located in the Blue Ridge region of North Carolina. Skiers and riders of all abilities are welcome. You will find nine slopes and five lifts that include two quads and one double chair. Appalachian Ski Mountain also welcomes ice skaters, too. Individual and group lessons. Equipment and clothing rentals. Recently remodeled lodge with restaurant, dining rooms, fireplace, TV room, lockers, game room, child care for ages one year to four years (advanced reservations necessary). Ski shop and gift shop. Ice skating arena and skate rentals.